I believe it was Travellin' Penguin who mentioned this book. She said it was very popular, all over the Internet, and that she didn't know how she'd missed it. Well, I missed it, too. She also said that the cat doesn't die at the end of the book. That was enough for me to ask for my library's copy. I no longer read books or see movies in which animals are hurt or die. There's enough of that in real life. Bob and James Bowen found each other when they were down and out in London. James was a recovering addict working as a street busker. Bob showed up on his doorstep. James tried to find Bob's owner and originally didn't want to keep him. 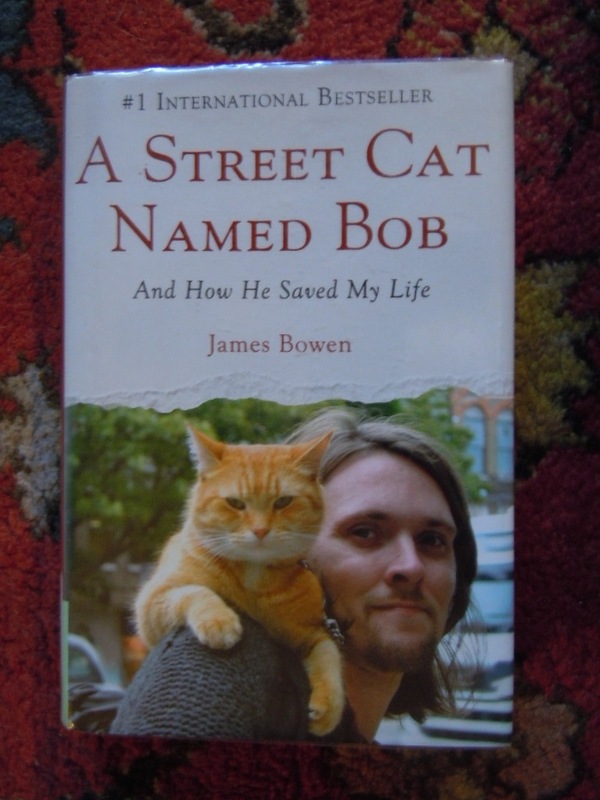 But they quickly formed a strong bond and James realized that caring for Bob helped him in his recovery. They became an Internet sensation when Bob started riding to work on James's shoulder, riding on the bus with him, and sitting in his guitar case while James performed. Life working on the street is hard, but James explains why some people do it. Bob attracted a lot of attention and affection, increasing James's income. People knitted scarves for Bob, yes, for Bob, not for James! They brought gifts and food for him. They took photos and videos. The book is simply written. There were no photos in my copy, but you can Google Bob and James and find quite a few videos of them. I wish them both well in their voyage through life. And I wish we could take our pets to all the places that apparently welcome them in Great Britain. Here, only my bank and some restaurants with outdoor seating welcome dogs. 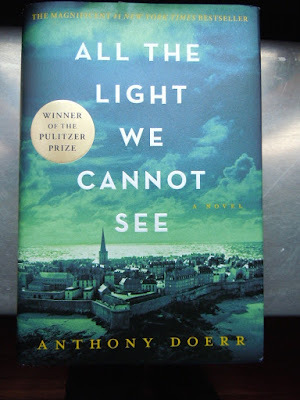 I recently read All the Light We Cannot See by Anthony Doerr. I thought it was magical, that the writing was luminous, and that the story was wonderful and heartbreaking. My cousin gave me that book and went on to recommend this one. She mentioned that much of it was about being the new parents of twins, something with which I have no experience. I chose a lifestyle without children and have never regretted it. The day after his wife gave birth to twin boys, Anthony Doerr received an invitation for a year-long fellowship at the American Academy in Rome. He accepted and they packed up their six-month old twins, time having elapsed, and moved to an apartment in Rome. Neither of the adults spoke Italian and, of course, the twins hadn't even mastered English. Brave or insane, I think I know which I think they are. Through the haze of sleeplessness, Doerr describes stumbling through their first days in Rome. They need to find the nearest grocers, fruit sellers, bakeries, and learn how to negotiate Roman customs. You don't stand at the back of the line waiting your turn. You shoulder your way to the front to call out your order. Apparently, Italians have a universal love of babies, especially twins. Old people, children, they all smile, say how beautiful they are, and want to touch the babies. Despite having the lowest birth rate of all Europe, he says, he's constantly congratulated on having produced twins. They find a babysitter so they can occasionally go off to explore Rome and Umbria by themselves. I think we all know how gorgeous the countryside in Italy is, whether from personal experience or movies. Rome is chaos, but layered by thousands of years of human life. At times he seems overwhelmed by the ghosts of all the people who have lived where he and his family are living. If this sounds like the babies are the centerpieces of the book, they are. Doerr speculates on many aspects of Roman life, how they seem to accept death better than Americans do and, thus, live life more fully, more in the moment. He finds a set of Pliny's Natural History and reads it during his stay. Pliny, who I haven't read, seems much like Herodotus, who I have read, with their wild and wise observations. 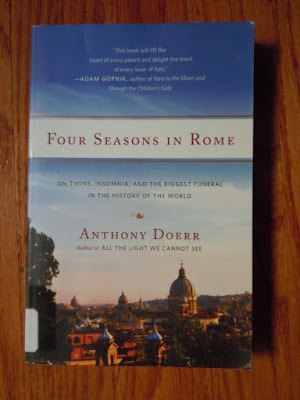 In the world of coincidences, Doerr was in Rome, living near the Vatican, during Pope John Paul II's last illness and death. We here in Philadelphia are about to go into literal lockdown mode for the visit of Pope Francis. Two very different situations, but similar in the adoration and massing of the crowds. The book is fairly short, about 200 pages. It's interesting, although his descriptions sometimes seemed inappropriate for this sort of book, a bit over the top, perhaps better for a novel. And it confirmed that I made the right decision about children! 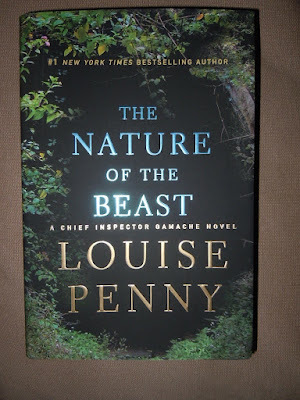 I love Louise Penny because she's introduced me to wonderful, odd people and to the mythical place called Three Pines. I wish she'd write a mystery a month. I don't even care if there's a mystery involved. I just want to sit in the bistro drinking with Reine-Marie, Armand, Ruth (especially Ruth! ), Rosa, Clara, Myrna, and the others, basking in the warmth of the fire and in their intelligent and sometimes silly conversation, eating delicious food. Little Laurent Lepage cries wolf. A lot. His imagination runs away with him. So when he races into the village, raving about a gun he found in the woods, a gun bigger than a house, and a monster riding on the gun, no one believes him. However, when he's found dead, apparently from a bicycle accident, retired Chief Inspector Armand Gamache feels that something isn't right. He suggests to his protege and successor, Chief Inspector Isabelle Lacoste, that they investigate further. Yes, Laurent was murdered. What they find in the woods is a huge missile launcher built in the 1990s. Called Project Babylon and decorated with the Whore of Babylon, no one was sure it had been built, although some people had been searching for it and for its plans for years. Pointed at the east coast of the US, rumor had it that the builder was planning to sell the launcher to Saddam Hussein, but the builder was murdered. As word gets out, Canadian intelligence agents show up. They clash with Lacoste's group and Lacoste's group clashes with some of the local police. Tensions and subterfuges abound. There's another murder. Everyone is looking for the plans for the gun and Laurent's murder is overshadowed by the search. The intelligence people from the government, an elderly scientist who'd been involved in the project, even some of the older villagers who lived there when the gun was built are suspected. How could they not have known what was being built in the woods? Not everyone is who they seem to be. Someone is hiding something. The Nature of the Beast is the eleventh in a string of engaging and satisfying mysteries involving Gamache and the residents of Three Pines. I've now acquired them all and hope to start at the beginning and read through to the end. This is how the books should be read. If you read them out of order, as I did, you'll miss the reasons for the character development. Things happen, people change. But I'd love to live in Three Pines. This is an organization and an effort that is dear to my heart, so, occasionally, I'm going to remind you of that. Signing digital petitions is all you need to do, although an occasional donation helps them to pursue their legal battles on behalf of the horses. If you sign petitions for a while, they will come already filled out. All you need to do is hit 'Submit'. Easy. We need more people to speak out. This is a democracy and voices should count. 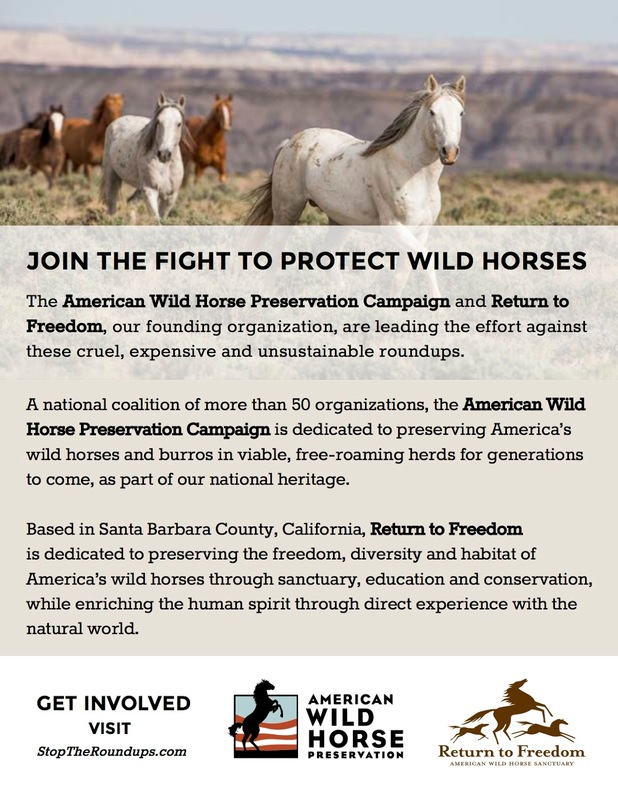 Wild horses on federal lands are supposed to be protected by the 1971 Wild Free-Roaming Horse and Burros act, passed UNANIMOUSLY by Congress. 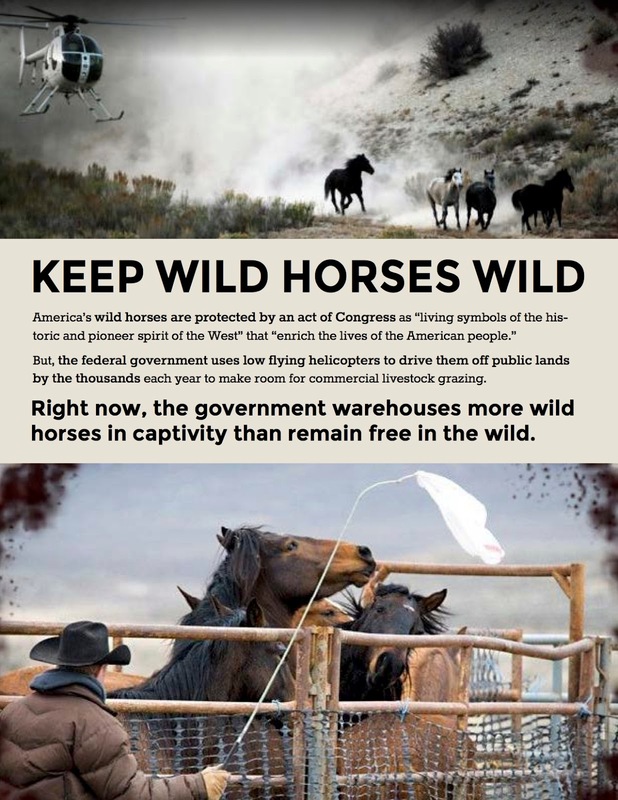 Managed by the Bureau of Land Management, the horses have been rounded up using helicopters or traps. Many horses are injured or killed in the process. The land designated for wild horse preserves has been drastically reduced, while cattle grazing, a financial loss to taxpayers, has increased. 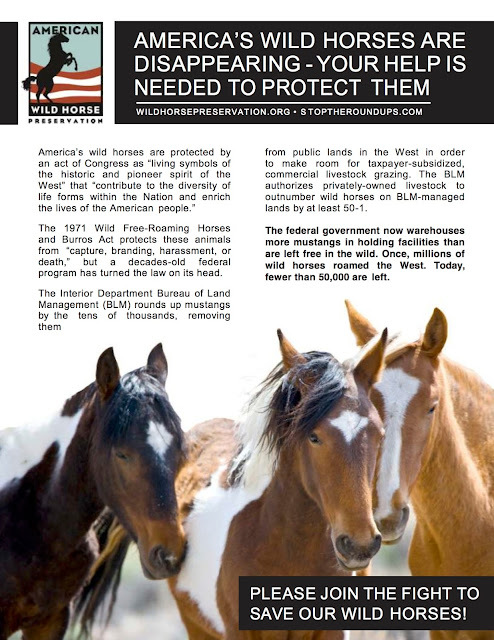 The BLM prefers cattle to horses, for no good reason. There are now more wild horses stuck in holding pens than are free on the ranges. This costs taxpayers millions of dollars each year. There would be little or no cost if the horses were left on the range. 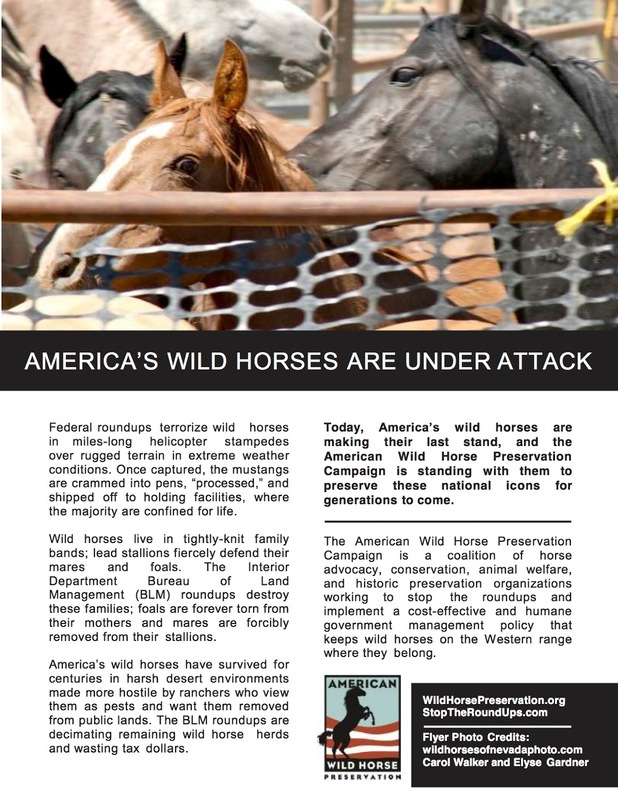 Wild horse numbers were much higher in 1971 when Congress decided they were disappearing and needed to be protected. If their numbers do need to be managed, contraception is effective and less traumatic to the horses. I'll let the organization speak for itself. Please sign some petitions and help if you can. The horses don't deserve to be abused by their protectors. Do you ever find that it's difficult to review a book you really like? I don't read much contemporary literary fiction and I wasn't expecting to like this book. My cousin gave it to me for my birthday. At lunch with some of my family, everyone who'd read it, which was everyone at the table except for me, said they liked it. Now I know why. Marie-Laure is a young French girl who has gone blind. Her father is the locksmith at the Museum of Natural History in Paris. He's responsible for tens of thousands of locks. Her mother is gone, so he takes Marie-Laure to the museum with him. There she learns about natural history, gems and shells being of particular interest. He also builds a miniature diorama of their neighborhood in Paris to help Marie-Laure learn how to get around the city. For her birthdays, he builds little houses with secret compartments to hold special birthday treats. Meanwhile, in Germany, Werner and his sister Jutta are in an orphanage. Werner is forced to join Hitler's Youth. He's a wizard with radios, math, and electronics, but he's still forced to participate in the rigorous training / bullying of the army of children. He meets Frederick, a sensitive boy who loves birds and who is filled with wonder. The army is not a good place for either of them. As the Germans invade Paris, Marie-Laure's father is given a stone which may be the famous and valuable gem called the Sea of Flames. There are four gems, one real and three fakes. He takes Marie-Laure to Saint-Malo, to the house of Marie-Laure's great uncle, Etienne. Etienne had been a hermit since the First World War, when he and his brother fought. His brother was killed. Etienne cannot bear the real world and never leaves his house. He sees ghosts. Etienne's house is full of radios. He and his brother used to broadcast a science program for children. The Germans order everyone to turn in their radios. Etienne's family complies - except for the powerful radio built into the secret attic. Werner and his unit are responsible for locating and destroying any unauthorized radios. Etienne has been broadcasting a list of numbers to the Allies. Saint-Malo, the beautiful old city by the sea, becomes a target for both the Germans and the Allies, bombed mercilessly. Marie-Laure's father tries to get to Paris but is arrested and imprisoned. Etienne is taken prisoner, too. Marie-Laure is left alone in the house by the sea. A German officer is searching for the valuable gem that her father may have had. He shows up at the house and Marie-Laure hides. There's so much beautiful detail in this book. Her father buys Marie-Laure books in Braille. She's reading Twenty Thousand Leagues Under the Sea. At one point, she begins to read the book aloud for broadcast. In one of the strange twists that sometimes startle me, I was reading Twenty Thousand Leagues earlier this summer. It got put aside, not because it wasn't interesting, but because it just did. You know how that goes. Now I'm eager to finish it and read, or re-read, more Jules Verne. At first, I was annoyed by the book because it jumps forward and backward in time. The chapters are short and alternate between Marie-Laure's story and Werner's, until they converge. As I got to know the characters and understood the trajectory of the story, I felt more comfortable. The time period covered is from just before World War II to 2014. I have joined the ranks of the enchanted.